Rollator and a transport chair in one! 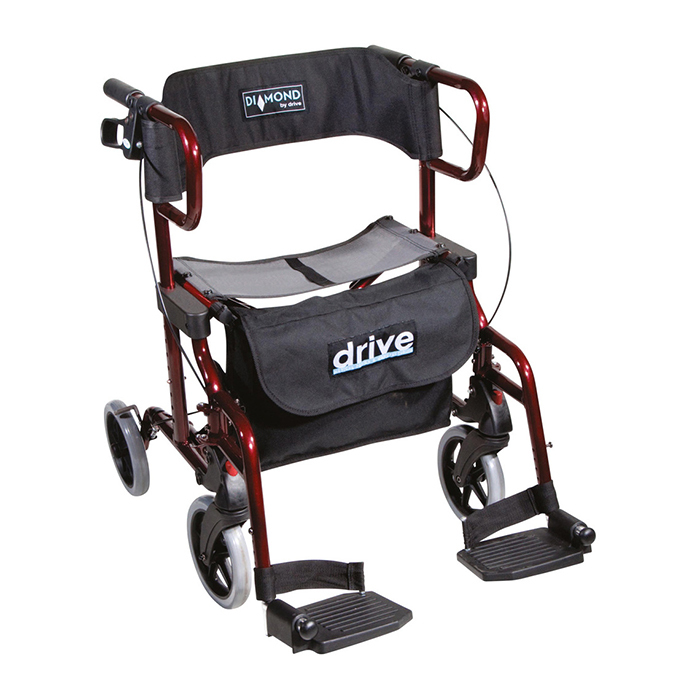 Versatile Rollator for indoor and outdoor use. Mesh seat with backrest provides a comfortable seat. Soft hand grips and hand brakes.